From January 18th through the 22nd, we celebrated our community during this moment of political change. Philadelphia, Pennsylvania, Feb 16, 2017—During moments of pointed hardship for our communities, what do we do? We gather together. Last month, we were reunited with many of our grantee partners and supporters in Philadelphia during Creating Change. Many of you had traveled long distances to hold space for your LGBTQI, POC, feminist, migrant, and poor communities. From January 18th through the 22nd, we celebrated our community during this moment of political change. We attended Creating Change panels led by our grantee partners who, year after year, generously share their insight and sharp analyses with conference attendees. We also lent our own voices to the conversation at sessions of our own. We shared drinks and meals with our supporters and those whom we support. Most importantly, we were continually reminded of how much we rely on one another’s queer radiance, rage, vulnerability, and sheer determination. As our executive director J. Bob Alotta prepared to take to the stage at the Women’s March in DC to speak to our communities’ resilience during this moment of political upheaval, the Astraea staff also found ourselves in the company of those who who have been on the frontlines of our movements for years, and will continue to fight back in the uncertain years to come. Here’s a glance at the ways we came together. Thursday evening, Astraea’s community of donors, grantee partners, staff, and old and new friends came together at Carre d’artistes Philadelphia Art Gallery for cocktails and conversation about Astraea’s grantmaking in the years to come, and our plans to prioritize the digital security, physical security, and the mental health and wellness of our grantee partners. In 2017, grassroots organizers seeking foundation support have encountered new dilemmas: Does this era mean that we’ will expend resources fighting bad things rather than funding good things? How do we prioritize the rural communities that are often ignored? How do grantmakers define ‘movement building’, anyway? On Friday, program team members Namita Chad and Monica Enriquez-Enriquez led a breakout session at a LGBT Funding Landscape workshop facilitated by Funders for LGBTQ Issues. 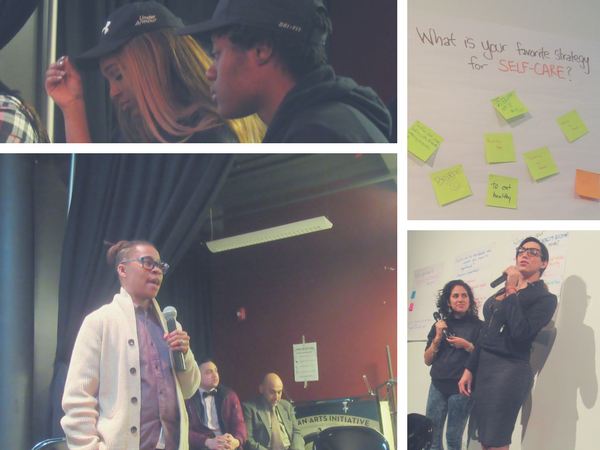 How do you build a movement that resists state-sanctioned violence against susceptible transgender, LGBTQ communities, youth, and disabled folks? And how do you build that movement across regions. On Friday, anti-violence activists discussed their long-distance collaboration through the Movement Building Committee. Participants included Nico Fonseca and Jai’s Shavers of the Audre Lorde Project, based in NYC, and BreakOUT!, based in New Orleans. 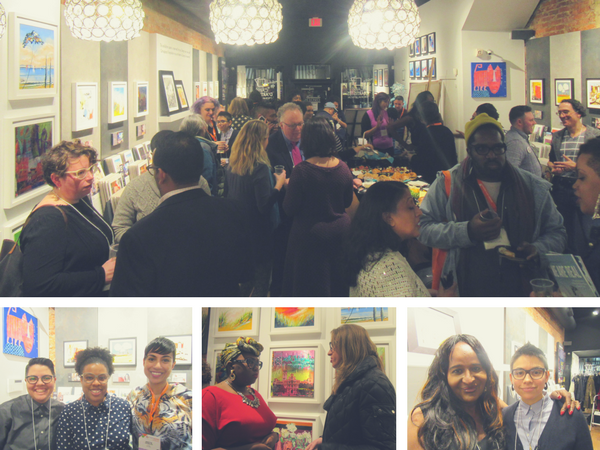 Friday night, Astraea held a grantee reception at Philly’s Asian Arts Initiative Gallery. It was a pleasure to pass a mic around the room and hear our grantee partners’ ongoing work, their unwavering commitments to #resistance, and their necessary strategies for self-care. On Saturday, our San Francisco-based grantee partner El/La Para TransLatinas shared their activist, healing justice, and organizational strategies. During their panel, they shared what El/La means to them as individuals and what it means to the community and connected with other trans Latina organizations across the country. During the last day of the conference, Astraea program officer Monica Enriquez-Enriquez, Borealis program officer Ryan Li Dahlstrom, and Joy Messinger of our sibling foundation Third Wave Fund hosted a workshop with 30 individuals who were eager to learn more about foundation funding, alternative fundraising models, and strategies to resource their communities and local organizations. 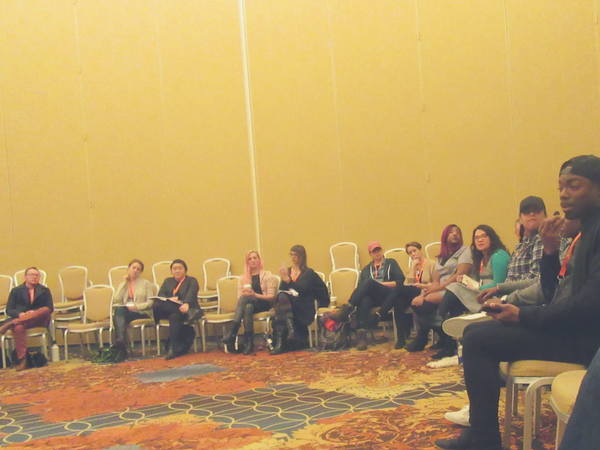 The high turnout for this workshop underscored the need for better funding for LGBTQI communities across the United States. 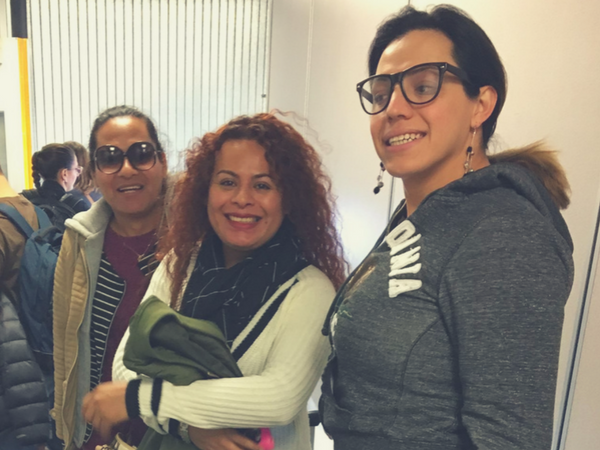 Jewelle Gomez and Diane Sabin, partners long-time Astraea supporters, facilitated a workshop on the memory and magic of the late AIDS activist Eric Rofes. Through the lens of Rofes’ incredible life, the group explored the role of love during critical movement building moments like the one in which we currently find ourselves. In attendance were Astraea’s very own Global Philanthropy Partnership program officer Ezra Nepon and executive director emerita, Katherine Acey.